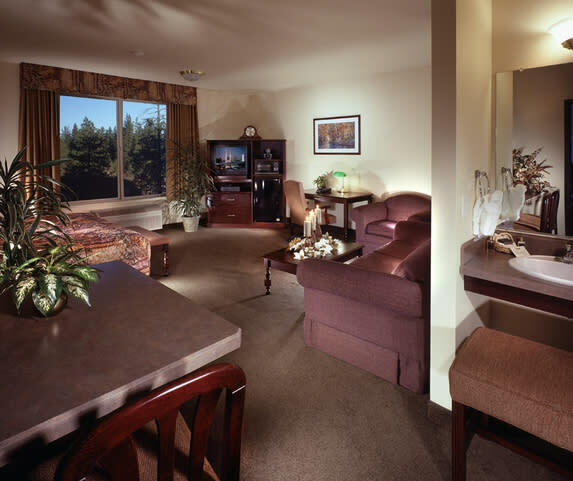 Just steps away from great shopping and dining, Oxford Suites is located along the Spokane River adjacent to the Centennial Trail and across from the Spokane Valley Mall. Amenities include complimentary full hot breakfast buffet, evening reception with two drinks (beer, wine, soda), Riverside Bistro (4pm - 9:30pm), room service, patio dining, full bar, airport shuttle, indoor pool, exercise room, WI-FI and business center. 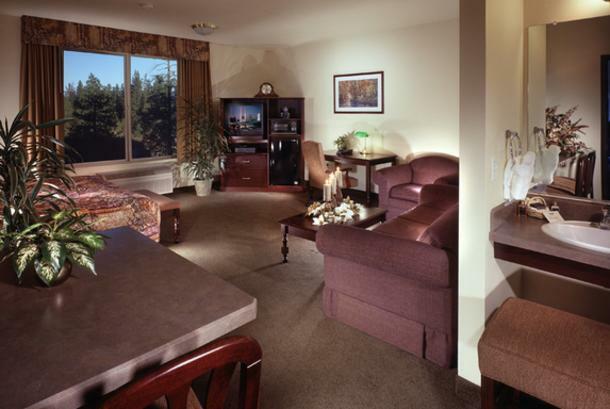 Description Overlooking the beautiful Spokane River and directly across from the Spokane Valley Mall and several fine restaurants, the Oxford Suites is the perfect location for your next meeting or event. On-site catering and audio/visual equipment available. Amenities include: free parking, complimentary full hot breakfast, bistro & full bar (4pm-9pm), complimentary evening reception (soup & salad & 2 drinks - beer, wine, soda), business center fitness center and indoor pool. Space Notes Newly carpeted along with wallpaper and chairs. Large open room with 2 doors.